Eye catching. Convention shattering. Class leading. The Veloster has garnered many labels, including the aforementioned, but the word "cool" seems to encompass the 3-door's overall attitude in a simple yet spot-on way. Its sporty, out-of-the-box styling offers unique touches like an asymmetrical side-door layout, while inside it's comfortable and technology packed. Veloster's cabin offers 105.3 cu. ft. of room, the most in its class, so even though it's considered a compact car it will never cramp your style. And unlike the Scion tC, Honda CR-Z and other competitors, it offers a standard seven-inch touch-screen display, which is also the largest in its segment. Round this out with its impressive fuel economy ratings and Veloster proves that it's an excellent alternative to the average economy car. 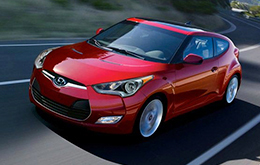 For tech, for fun and for style, purchase the 2014 Hyundai Veloster in Carrollton, Texas. Available trim levels include the base, RE:MIX, Turbo and all-new performance-focused Turbo R-Spec. Standard amenities are plentiful no matter the trim you select and include modern amenities such as Pandora capability, SiriusXM Satellite Radio, a black rear spoiler, iPod/USB/auxiliary input jacks, Bluetooth phone and much more. Along with convenience, entertainment and styling features, Veloster also emphasizes safety with standard equipment like a rearview camera, Vehicle Stability Management (VSM), six airbags and the Hyundai BlueLink emergency communications system, which provides services like stolen vehicle tracking and automatic crash notification. 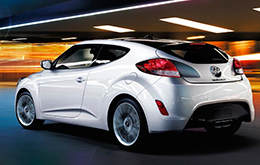 To test drive the 2014 Hyundai Veloster in Carrollton, car shoppers in the Dallas area can stop by Van Hyundai during business hours or call to schedule an appointment in advance. When you take Veloster for a spin, you can try out the available dual clutch transmission (DCT), which offers smooth, quick shifts; no other car in the class offers a DCT, adding to the Veloster's exclusivity and one-of-a-kind character. See additional vehicle specs and video now! Following the inventory listings, our Hyundai Veloster review continues with a quick list of facts about the car and a video walk-around tour. We're condifent that the Veloster is the right fit for you. That's why we want you to compare Hyundai's latest model side-by-side with the 2014 Scion tC, Volkswagen GTI, Volkswagen Scirocco, Mitsubishi Lancer Sportback and the Mini Cooper S. Shoppers will be thankful for the Veloster's superb exterior styling, as well as its advanced features. 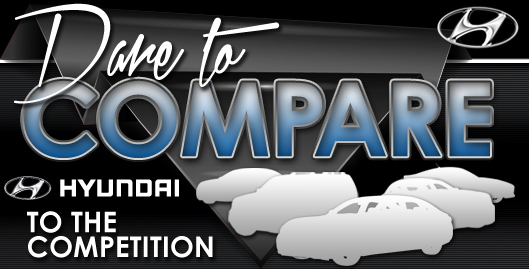 When compared to the vehicles in its class, in terms of price it's clearly a fantastic value, making it a number-one choice among Hyundai customers in Dallas. For more information about what it offers, check out the Veloster's quick-facts list below. 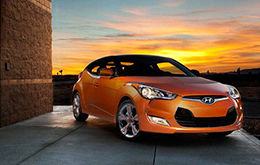 Van Hyundai is a trusted resource for information about the 2014 Hyundai Veloster - for reviews of preceding models please view our sidebar links. Don't stress out over your next purchase; look to the well-known Hyundai retailer in Dallas for thoroughly researched reviews drafted by industry specialists. Every passage comes bundled with essential information, specs and research - just what you need to make sound decisions about your next Hyundai purchase. After checking out Van Hyundai's review of the new Veloster, phone us to schedule time for a test drive and find out about lease offers!